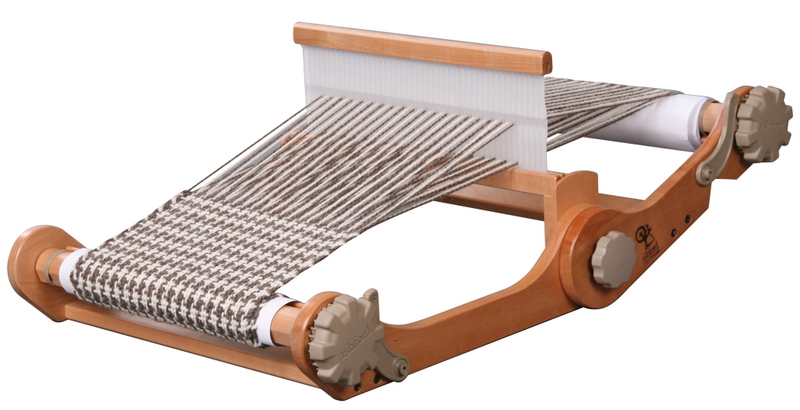 The Knitters loom is ultra portable being lightweight, compact and folds in half – even with your weaving in place. Also available are 2.5, 5, 10, 12.5 and 15 dpi reeds so you can weave fine to textured yarns. Included accessories: Reed 7.5dpi (30/10cm) wide-eye, 2 x lacquered shuttles 26cm (10″) and 36cm (14″), step by step instruction booklet, threading hook, warping peg and clamp.